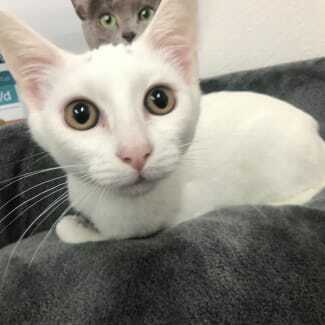 We are a group of three vet clinics who take on stray cats and kittens in order to find them forever homes. We desex, fully vaccinate, microchip, flea and worm treat and offer blood typing to all the cats and kittens in the program. Please take the time to browse through some of the photos of our beautiful cats available for adoption. Keep in mind that we have many other cats that have not yet made it to this page who are looking for their forever homes. 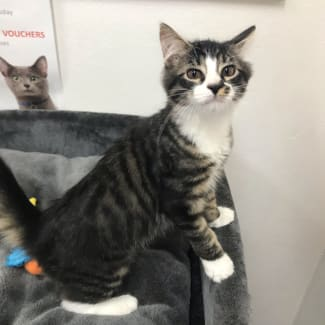 If you don't find the pet you're looking for we encourage you to contact our clinic directly on (02) 47333456 and leave your details with the adoption coordinator. Please be advised that we do not include any of our kittens on this page, as the turnover for them is too high to keep up-dating. 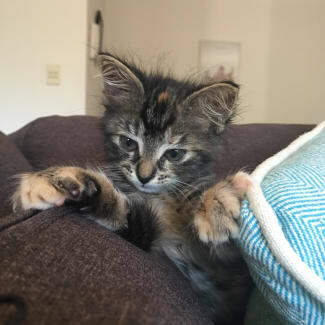 However, we always have lots of new kittens in the program looking for their purr-fect family. Our adoption process includes a meet and greet with our adoption coordinator and the kitten or cat(s) you are interested in adopting. This is where you can ask any questions you might have and discuss the suitability of this pet to your lifestyle, and all the inclusions of the adoption fee. Hi there my name is Holly, Im the friendliest feline you have ever met! I have been well socialised since a very young age. I have grown up around young children, an adult male cat and even large dogs! Im not scared of anything, I love all my furry and human friends alike, mainly humans though there so fun! I want to be a part of whatever people are doing, whether it’s having a shower, watching tv, folding laundry, cooking etc. I love playing and I’m not afraid of anything - I’m a real adventure cat. If something is new and exciting, I’m in! I do also have an off button and then I usually like to sleep on people. In the mornings I’m always in a good mood and purring, I like when people wake up. I think I will grow to be quite a big cat and my hair is long so I might need you to brush it every now and then. The colour of my coat is a bit of a mix: my legs have stripes like a tiger, my belly is like a leopard and my back looks like I walked under something rusty. I have grown into a confident young lady that enjoys climbing and playing with anyone! I don’t play to rough however if im to silly for your liking I will stop if you say ‘A ah’. I have been given regular baths (yes with real water) and I surprisingly don’t mind it, after bath time I need a nap so ill be sleeping on the lounge for the rest of the evening. If you are interested in meeting or adopting me please contact the adoptions team on 4733 3456 or adoptions@wellpet.com.au if you have any questions or would like to arrange a meet and greet. I look forward to playing peek a boo with you! !